These are hobby projects that I have done, or currently work on during my free time. A 4 vs 4 multiplayer flight game with a top-down view. 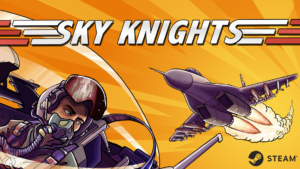 It’s under development during my free time and features synchronous multiplayer, some really sweet flight physics and a bunch of other features. For the alpha, I made a launcher to this game that automatically updates the game to the latest version every time it’s started, which made play testing very smooth. The game is now released on Steam. A discontinued prototype of a cooperative multiplayer 2.5D game, made in Unity where the players are digging their way down into the ground (using explosives!) to find ancient treasures. 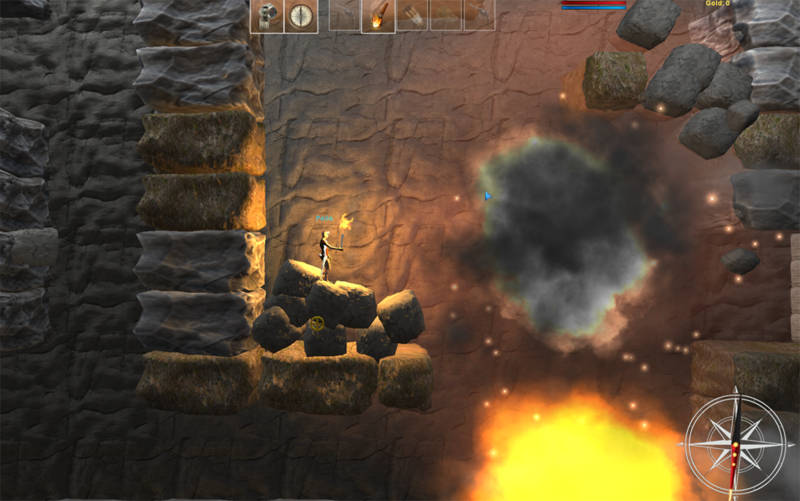 Features include cross-platform multiplayer using Photon (PC, iOS and Android) as well as player mechanics, networked physics (including networked climbable ropes) with destructible environment, a handful of equipment, lights and weapons. A discontinued protoype of a multiplayer team pvp game in which the player controls a submarine and needs to use smart tactics, stealth, sonar and a whole lot of teamwork to defeat the other team. 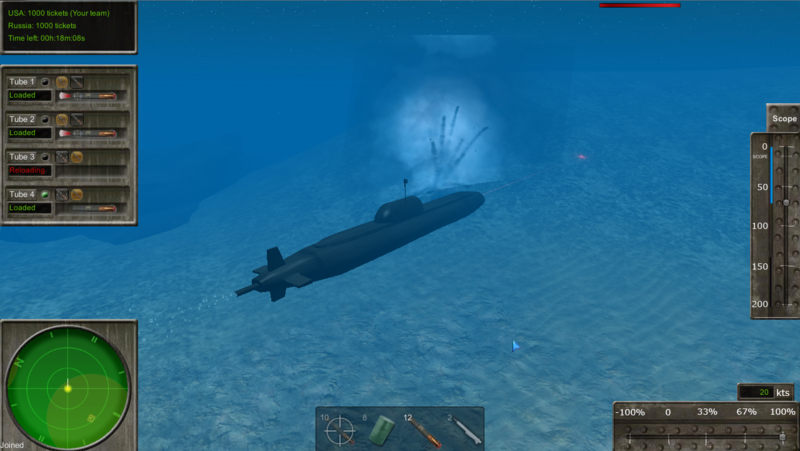 Features multiplayer including a lobby, the most important controls, a 4 vs 4 game mode and some submarine and torpedo physics. 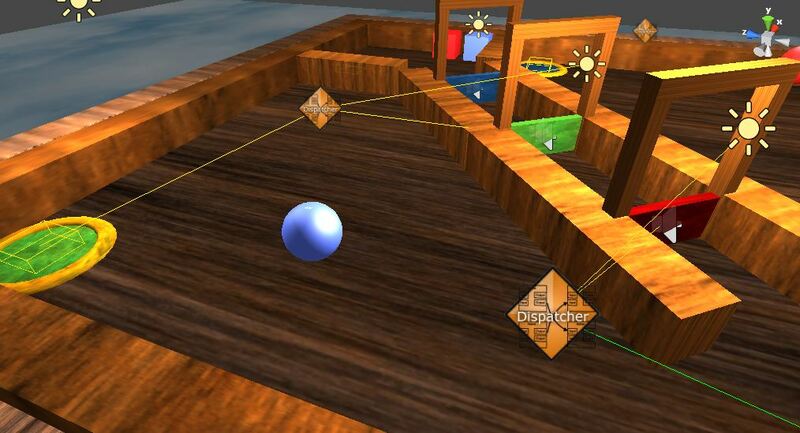 Since Unity lacks visual scripting, making your levels interactive can sometimes be a pain. I have developed my own visual trigger system to take care of this. Different kinds of triggers can be connected to receivers or connected in advanced networks where a designer can get complex logic behaviour in the level without writing any code at all. Inspired by Jason Gregory’s (Lead Programmer at Naughty Dog Inc.) talk “The cameras of Uncharted 3” that I attended on GDC2012. I decided to code a similar camera system like the one used in Uncharted 3, but for Unity. In short, the idea is to use a bunch of virtual cameras, each with their own logic, instead of having a single almighty camera class that tries to be everything and adapt to each possible scenario. 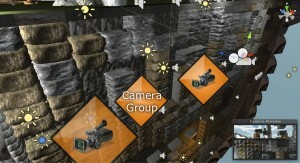 The real game camera can then spatially fade these virtual cameras in as it see fit, controlled by code or triggers in the level, creating very nice and smooth effects. Camera effects can easily be made and tweaked by game designers, without assistance from a programmer. I am very proud of how this turned out. I made these prototypes back in 2009. Since they are really outdated, I moved them to a separate section to be saved for nostalgia reasons.